The Brooklyn Cyclones will begin a six-game homestand tomorrow which will feature a number of fun giveaways and special events. 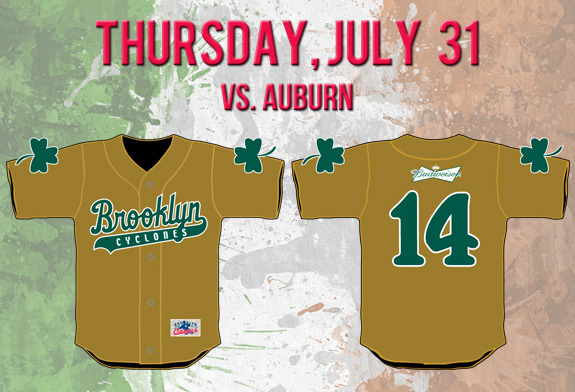 Thursday, July 31st is the Cyclones’ annual Irish Night. The first 3,000 fans will receive a nifty shamrock-themed jersey courtesy of Budweiser. In addition, the players will be wearing special green & white uniforms and there will be other surprises throughout the night. 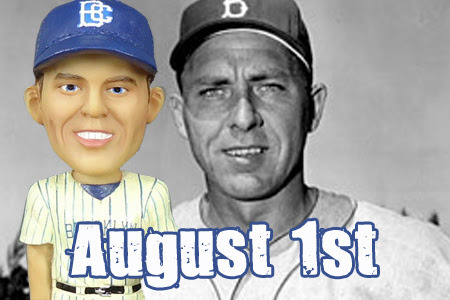 Friday, August 1st is Gil Hodges bobblehead night. The first 2,500 fans will get a bobblehead of the Brooklyn Dodgers’ star first baseman wearing a Cyclones cap courtesy of Lutheran Healthcare. After the game, there will be fireworks. Saturday, August 2nd is Star Wars night. 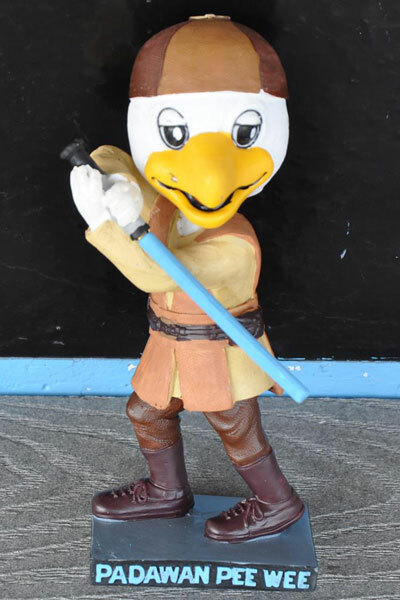 The first 2,500 fans will get a bobblehead of Cyclones’ mascot Pee Wee, the newest Jedi padawan. Players will wear special jerseys inspired by Darth Maul, which will be raffled off to benefit local charities. There will also be post-game fireworks. 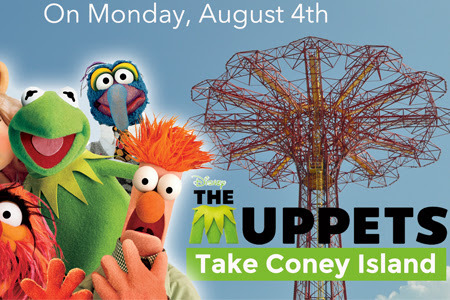 Monday, August 4th, Muppets will take over Coney Island, performing sketches throughout the evening and allowing randomly-selected fans to participate in a private meet-and-greet. For more information, or to purchase tickets for any of these games, visit BrooklynCyclones.com. I may get to Saturday’s Star Wars night game, but I’m not counting on it.